Buenos Aires is Argentina's capital. This sunny city combines European architecture with the atmosphere of the hot temper of the South American. That combination proves charming as millions of tourists from around the world visit the Argentine city to enjoy the beautiful weather, beautiful beaches and numerous entertainment options offered by Buenos Aires. 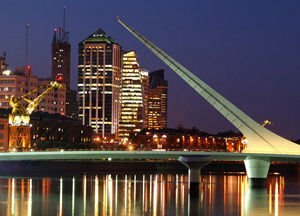 The full name of Buenos Aires in Spanish is, Ciudad de la Santísima Trinidad y Puerto de Nuestra Señora de Santa María de los Buenos Aires or in other words, City of the Holy Trinity and Port of Our Lady of Santa Maria in Buenos Aires. The capital of Argentina is located on the north eastern coast of the country and the town is bathed by the waters of the Atlantic. La Plata river (Río de la Plata), from there flows into the sea. Buenos Aires is located on the south bank of the river mouth. 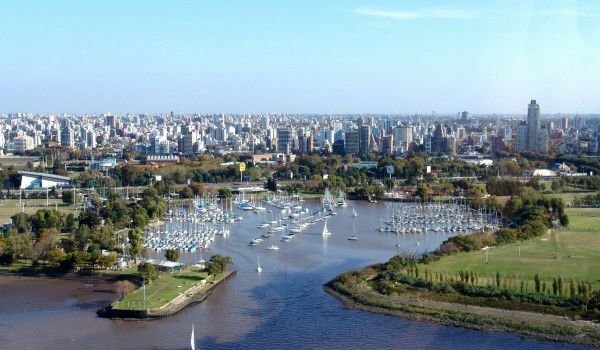 Nearly three million people live within the Buenos Aires, but the number of residents in the entire urban agglomeration of the Argentinian capital reaches a significant 12 million. Buenos Aires is also the second largest metropolis in South America. The first Europeans who set foot on the local bank came in 1516 when the Spanish navigator, Juan de Solis reached the coast of Argentina and declared it to Spain. In 1810 in Buenos Aires anti Spanish groups begand an uprising and broke out, six years later, on July 9th, 1816 it was officially proclaimed the independence of Argentina. The period between 1930-1983 was characterized by frequent military change of governments. For Argentines in 1982 took the defeat of Britain in their war Folklands (Malvinas) Islands. In 1983 Buenos Aires began forming a civil government and also throughout Argentina, which was actually the beginning of democratic changes. By 1920 Buenos Aires became a favorite destination for immigrants from all over Europe, especially those from Spain, Italy, the provinces of Argentina and the nationals of neighboring countries. The outskirts of Buenos Aires neighborhoods are in sharp contrast with the "shiny" image of the resort. Most of these neighborhoods were built mainly of cottages around the industrial areas of the City in 1930. This led to serious social problems which later destroyed the positive image of the country. The second construction boom in Buenos Aires was between 1945 to 1980, which saw the reshaping of much of the downtown. As a worldwide tourist destination and a favorite, Buenos Aires life and entertainment never stops. Throughout the night the clubs work, and also do not be surprised if you see a long queue in front of the cinemas as they are also daily. Among the cultural attractions of Buenos Aires the one you should not miss to visit is the Theatre, Cologne, which is considered one of the three most famous theaters in the world. Note the pink facade of Casa Rosada, which is actually a government building. This house has managed to be maintained ever since the first Spanish settlers were around Buenos Aires. It is alleged that they needed to paint the building with human blood in order to improve resistance to humidity and was a test of the government building. Be sure to walk the coastal district of La Boca where you can see houses dating from the 19th century, painted in vibrant colors.